Much of modern-day public opinion about mercenaries is still colored by adventures of Robert Denard, a French solider and mercenary, famous for his involvement in numerous “jobs” in support of Francafrique – France’s sphere of influence in its former colonies in Africa. One of Denard’s typical operations was the coup attempt against the government of Benin, from January 1977. Such and similar operations in turn inspired numerous novels and a few Hollywood movies, too. The Republic of Benin is a little-known country in western Africa, bordered by Togo in the west, Nigeria in the east and Burkina Faso and Niger in the north. It came into being as a combination of three political and ethnic systems, the most significant of which – the Kingdom of Dahomey – used to be one of largest exporters of slaves to Portugal in the 18th Century. The French occupied the area in the late 19th century and declared it a part of their West Africa in 1899. Paris released Benin into independence on Aug. 1, 1960, but the country was plagued by ethnic strife and political turbulence right from the start. 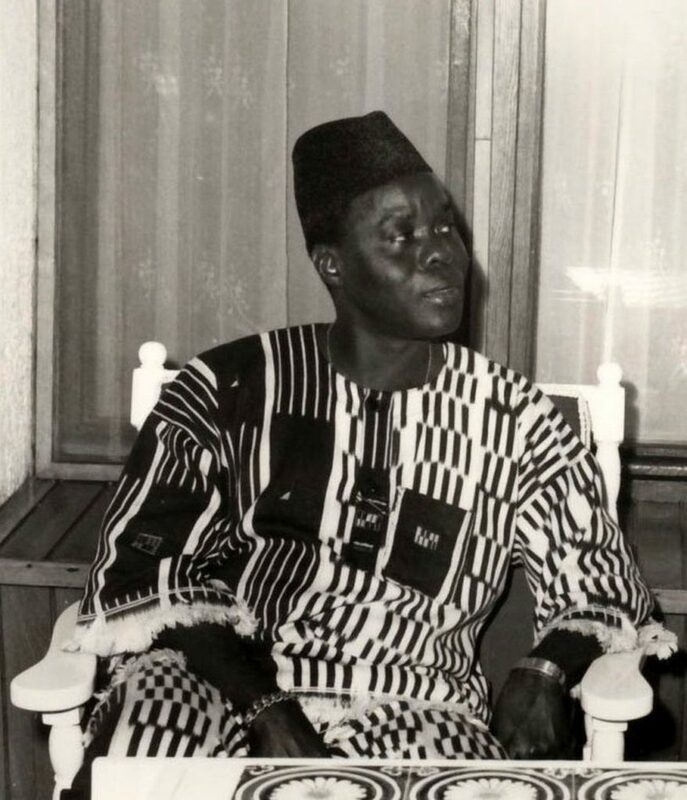 Following several coups, the military triumvirate established itself in power, only to be removed by another putsch, launched by Lt. Col. Mathias Kérékou on Oct. 26, 1972. Contrary to all of its predecessors in that position, Kérékou managed to keep himself in power and then began reforming the country and its economy along ideals of Marxism-Leninism. He nationalized the petroleum industry and banks and established relations with the People’s Republic of China, North Korea and Libya. Clearly, such actions attracted lots of enemies – not only in France, but in several neighboring countries. Furthermore, the King Hassan II of Morocco was incensed by Kérékou’s official recognition of Western Sahara as an independent country. Out of no less than 5,000 applicants, his lieutenants picked around 150 candidates. Sixty of these – including 22 Africans from Benin and Guinea – were hired for a monthly salary of 6,000 French francs. During December 1976, all have traveled in small groups to the Ben Guerir air base in Morocco, where they underwent intensive training, foremost related to the use of firearms. The emerging mercenary force, named Omega, and organized into a four-men headquarters element — call sign Soleil/Sun — plus two assault teams, Bleu/Blue and Noir/Black, armed with a mix of FAL assault rifles, MAG machine guns and M-72 LAWs. Finally, there was a 35-man support platoon — call-sign Jaune/Yellow — equipped with two Browning .50-caliber heavy machine guns and two 81-millimeter mortars. The essence of Denard’s plan for attack was to quickly deploy his small force to Beninese capital, shock any kind of opposition into inaction and capture the president. In order to collect the necessary intelligence, Dennard ordered one of his lieutenants to travel to Coutonou, the largest city and the seat of the government of Benin. His reports were more than encouraging. They indicated that the Beninese military was ill-organized. Only a platoon-size force was on duty in Coutonou on Sunday, while the local army’s best unit – the Parachutist Battalion – was involved in one coup attempt against Kérékou, in 1972 and thus expected to side with any new attempt, all provided the first phase of such an enterprise was successful. Emboldened, Denard launched his Operation Crevette, also known as Operation Shrimp, at 2:30 in the afternoon, local time, on Jan. 15, 1977. Eighty men boarded a single Douglas DC-8 in Morocco. Five and a half hours later, the aircraft landed at Franceville in Gabon. All men and their equipment transferred to a Douglas DC-7, which then took off for a flight to Benin at 1:00 in the morning on Jan. 16. This aircraft landed at the airport in Cotonou at 7:00 in the morning and parked right in front of the control tower. The mercenaries quickly disembarked and brought the main terminal of the airport under their control. The crews of two Beninese army AML-60 armored cars attempted to intervene. One vehicle was knocked out by an anti-tank rifle. The other retreated. Team Jaune entrenched itself at the airport then deployed one of its sections – call-sign Jaune Couverture – to the nearby National Road 1 to block the arrival of any Beninese intervention force. Meanwhile, the two assault teams moved east along two parallel streets of Cotonou in direction of the presidential palace, intending the assault the building from two directions. Initially, the mercenaries came forward flawlessly, although the team Noir was slowed down by a short firefight with a local pocket of resistance in which it lost one of its combatants. On the contrary, team Bleu went all the way to the presidential palace, only to find itself pinned down by the crew of a single machine gun. Team Jaune reacted with precise mortar fire, and even managed to lob two bombs into the presidential room. But this proved ineffective. The machine gun remained operational. And it turned out that Kéréke wasn’t home. It was only at the point in time that Denard’s intelligence proved to have missed an important point. It turned out that because the Beninese president distrusted the Parachutist Battalion, he had contracted North Koreans to help him expand the small Presidential Guard into a full battalion, and arm this unit better than any other unit of his army. Despite the chaos caused by attack, North Korean advisors weren’t shy about taking things into their own hands, and manning defensive positions in the company of their trainees. The presidential palace thus remained outside the reach of the mercenaries. In turn, protracted firefights emboldened other units of the Beninese military – including several Ferret armored cars – to join the fray. Recognizing he has lost the moment of surprise, Denard ordered a withdrawal of all of his teams, covered by the mortars. Despite several Ferrets on their heels, the mercenaries managed to get back to the airport and board the DC-7 – which flew them out to Franceville. Omega Force lost only two killed and two wounded in the entire operation, but their withdrawal was not without consequences. Namely, in their rush to get out of Benin, the mercenaries left behind all of their documentation, including details on planning and accounting. These were locked inside an ammunition box that was mistakenly unloaded on arrival in Cotonou. Worst of all, while withdrawing the mercenaries left behind Ba Alpha Oumarou, one of the Guinean members of the team. He failed to evacuate the roof of the control tower on time and was captured alive. Mathieu Kérékou survived this and several further coup attempts. In 1990, he publicly confessed guilt, asked for forgiveness for the flaws of his regime and initiated reforms toward multiparty democracy. He lost an election in March 1991, but won in 1996 and 2001 and remained in power until April 2006. The failure of this coup attempt did not dissuade Denard from becoming involved in further enterprises of a similar nature. A few years later, he launched his most-ambitious undertaking ever – Operation Atlandide on the Comoro Islands.